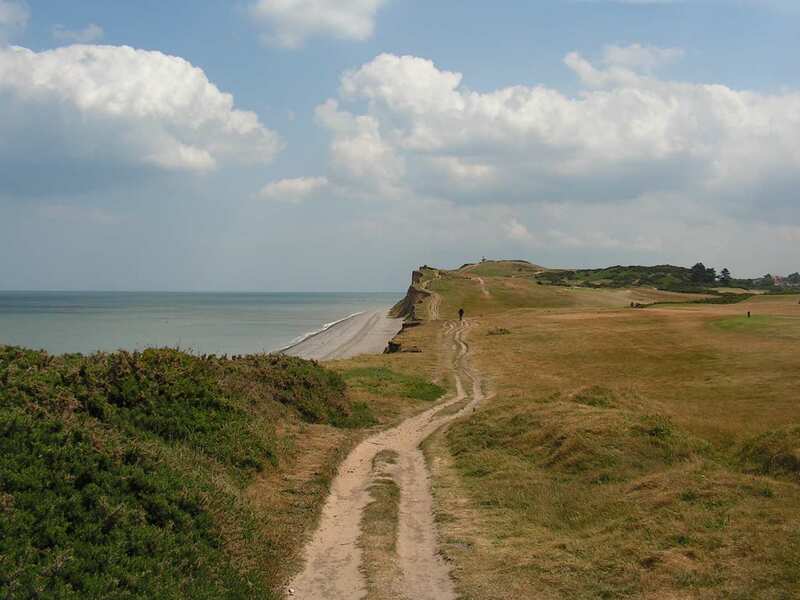 Explore the Norfolk Coast Path at your own pace on a self-guided walking holiday. Accommodation, luggage transfer and custom holiday pack included. 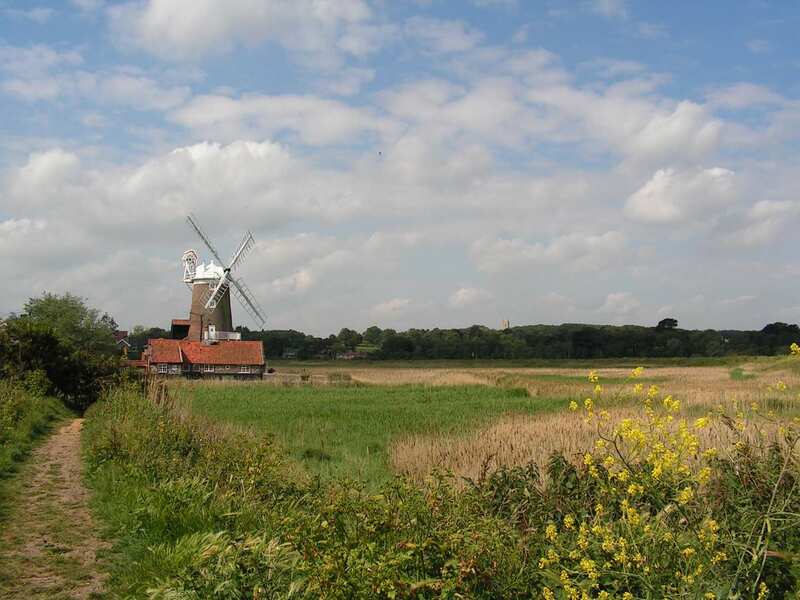 A walking holiday through the beautiful scenery of the Norfolk coast from Hunstanton to Hopton-on-Sea. 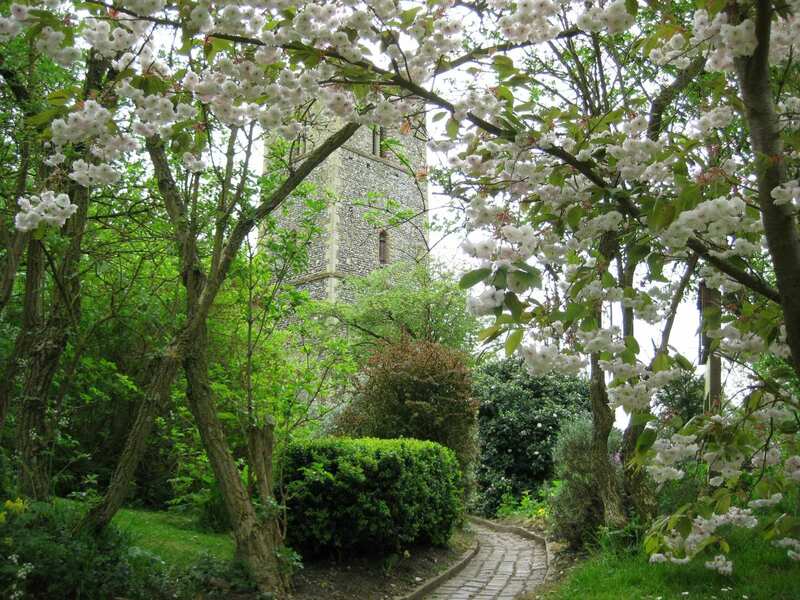 The Norfolk Coast Path starts in the town of Hunstanton and passes along Norfolk’s heritage coast to Hopton-on-Sea. The path encounters cliffs, sand dunes, creeks and golden beaches, following the sea the whole way. There are lovely settlements to explore along the trail, including seaports, fishing villages and seaside resorts, each boasting their own interesting history and welcoming charm. Wildlife flourishes along the Norfolk coastline, playing host to a wide range of sea creatures and birds. Grey seals can often be seen frolicking around Blakeney Point, a National Nature Reserve dedicated to their conservation. Spotting the abundance of wildlife at national nature reserves such as Holme Dunes and Blakeney Point. Exploring the beautiful pine forests on the approach to Wells-Next-The-Sea. Watching the boats in the harbours at Brancaster, Burnham and Cromer. The popular seaside town of Hunstanton is a good choice for a rest day. 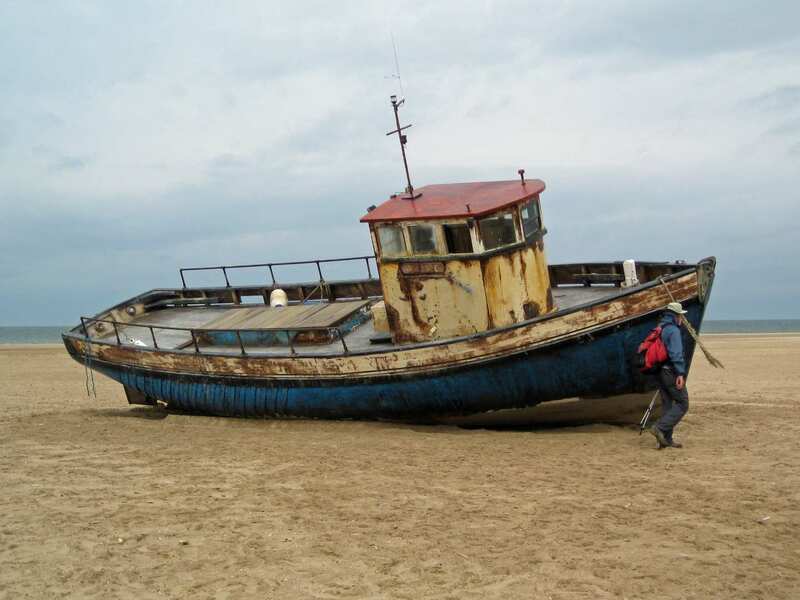 There are a range of interesting locations to visit, including Hunstanton Lighthouse and Shipwreck at St Edmund's Point or the splendid Boston Square. From Hunstanton Prom, you can marvel over Hunstanton's famous cliffs, while, if you journey to the outskirts of Hunstanton, you can visit Sandringham Estate, the country retreat of The Queen, or take a boat trip to view Europe's largest colony of seals. The Victorian town of Cromer is a wonderful place to explore, with a famous pier, a proud tradition of RNLI service and Life Boat Museum, as well as great independent shops, restaurants, cafes and galleries. This vibrant atmosphere, alongside fantastic Blue Flag beaches, the tallest church in Norfolk and an attractive seafront, make it a great choice for an extra night. By Air - The most convenient major city and international airports are Norwich and London Stansted. By Rail - The nearest rail station to the start of the trail (Hunstanton) is at King's Lynn (about 16.5 miles away). 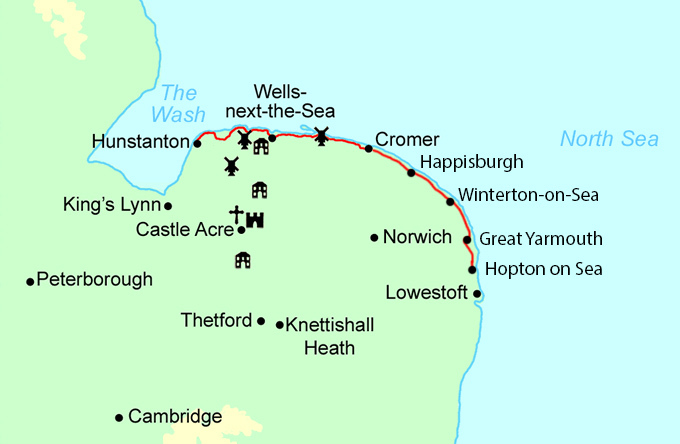 The closest rail station at the end of the trail (Hopton-On-Sea) is at Great Yarmouth (approximately 7.5 miles away). By Bus - Various bus services run to Hunstanton and from Hopton-On-Sea. From London - Trains run from London Kings Cross station to King's Lynn. From there a bus/taxi will be required to Hunstanton. Return To The Start - The easiest way to return to the start of the trail, is to take a taxi from Hopton-On-Sea to Great Yarmouth, from here catch a train to Kings Lynn, then from here you will need to take a bus/taxi to Hunstanton.